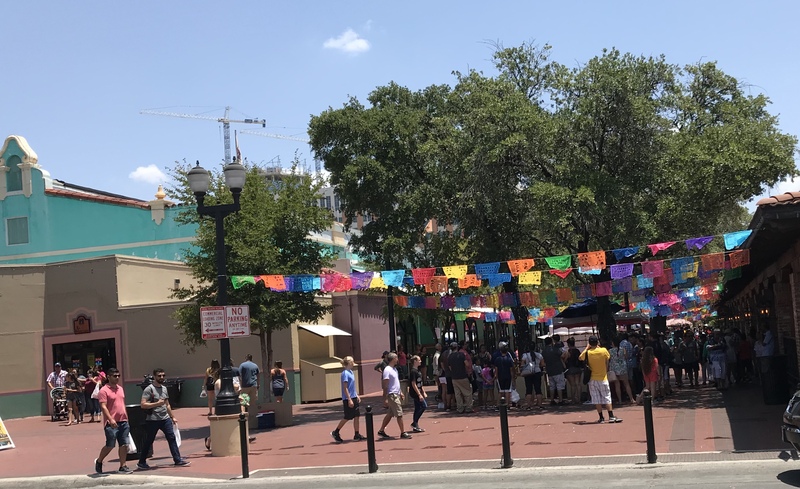 Historic Market Square in Downtown San Antonio is known as the biggest Mexican Market in the United States and a well known destination for residents and tourist alike. 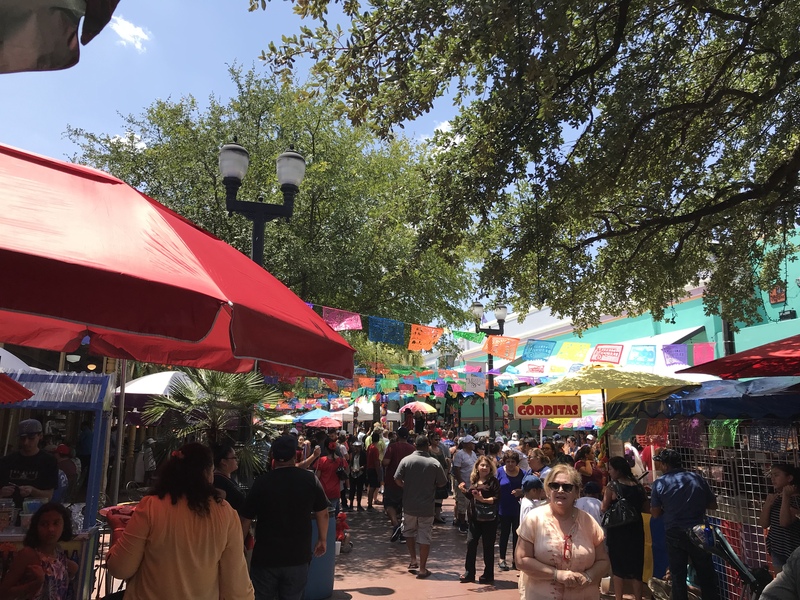 Market Square is an outdoor 3 block plaza full of shops, booths, entertainment and restaurants full of Old Mexico culture. Two well known and popular restaurants in San Antonio line Market Square Plaza, Mi Tierra and La Margarita. Be warned though if going on the weekends and want to eat at one of these restaurants it is best to check in early and plan accordingly as wait times can sometimes be up to 2 hours for a table. There are also indoor markets to browse that have concessions where can find entertainment or a seat. 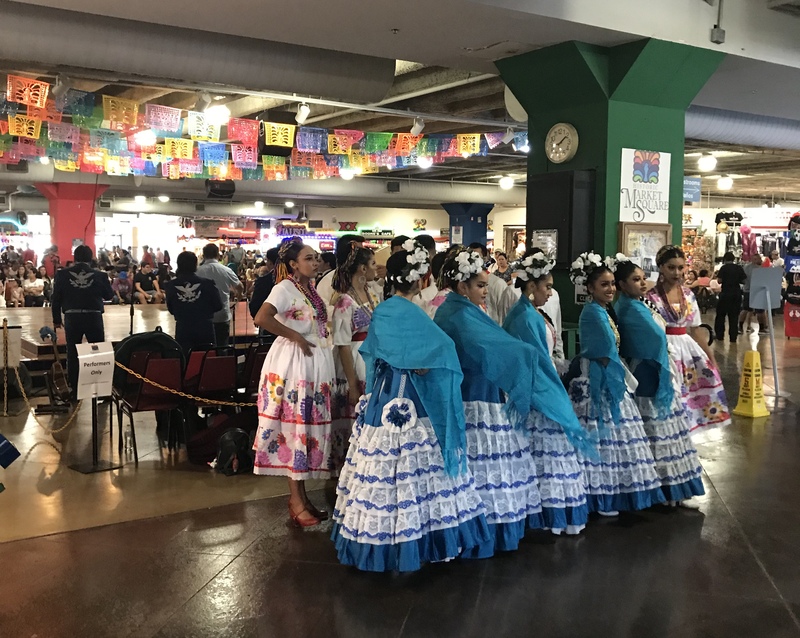 You can find pretty much anything with over 100 booths and shops from clothes, decor, pottery, art, toys, jewelry along with beer, margaritas and other food and beverages for all ages. While we were there we found some festive dancers on the indoor stage while walking the ‘Farmers Marker’...booths and music outdoors along with a few street performers of viarity. My kids got their face painted while walking outside in the plaza before eating at Mi Tierra. I wouldn’t make Market Square an all day event as it is limited but definitly would set aside a couple hours to check it out if visiting from out of town or have never been. It is truly one of a kind. Market Square is generally open between 10AM and 6PM but is no stranger to events or festivals so check online before visiting. You can usually find parking near by without a problem at one of the pay to park lots if parking lot is full.